The proposed five-year residency cap for expatriates in Qatar will not affect highly-skilled workers, Qatar officials have said. Senior labour officials have confirmed that highly skilled expatriates will not be required to leave Qatar even despite the planned five-year residency cap for expat workers. Mohammad Al Ubaidily, the director of the legal affairs at the labour ministry, said: "The labour market strategy is based on retaining skilled expatriates in order to benefit from their expertise. 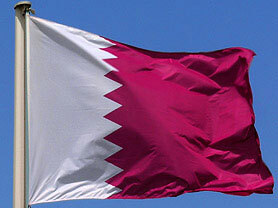 Visas are renewed by the interior ministry, but we stress the need to keep skilled foreigners in Qatar”. Gulf Cooperation Council (GCC) countries have planned the five-year residency cap mainly for the on the millions of unskilled Asian workers. With 15 million expat workers living in the Gulf, concerns have arisen over how much of an impact they are having on local traditions and culture. Officials have warned that such a huge presence of foreigners has led to the emergence of subcultures and tears in the socio-political fabric of the Gulf. However, the proposed residency cap move proposed has been challenged by powerful international businesses who stress that reducing foreign workers could have damaging effects on the economy.